Extreme Engineering Solutions (X-ES) introduces the XAct1012, XCalibur1412, and XPand9011 – three server-class computing products featuring dual Intel® Xeon® E5 v4 family processors. These products come integrated with X-ES SecureCOTS technology, ideal for platforms requiring state-of-the-art processing performance, physical security, and Cybersecurity. As with all X-ES products, the XAct1012, XCalibur1412, and XPand9011 are wholly designed, manufactured, and supported in the United States. X-ES is committed to the implementation of a comprehensive and multi-faceted counterfeit parts prevention plan, using COTS components from trusted domestic supply chains to ensure the quality and security of our products. Each of our new Intel® Xeon® E5 v4 based products is designed with X-ES’ SecureCOTS™ technology to prevent reverse engineering and the extraction of critical information, providing superior security for standard form factors. 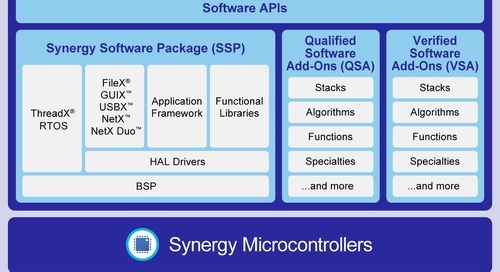 These products are equipped with a tightly coupled Xilinx Kintex® UltraScale™ security FPGA with over a million logic elements, enabling an industry-leading combination of security and performance. The XAct1012, XCalibur1412, and XPand9011 are the newest additions to X-ES’ extensive product lineup and are the first to support dual Intel® Xeon® E5-2600 v4 (formerly Broadwell-EP) family processors. These server-class products include up to 128 GB of soldered-down DDR4-2400 ECC SDRAM across eight channels. They are also true Open Systems Architecture (OSA) designs, providing a simplified path to future upgradability and eliminating the vendor-lock commonly associated with proprietary implementations. Most server-class products advertised as rugged are actually based on foreign-designed and manufactured commercial motherboards modified by a system integrator attempting to create a rugged and reliable product. X-ES’ server-class processing boards are different because they have board-level ruggedization features built-in, enabling them to perform reliably in harsh environmental conditions common for military and aerospace applications without the need for modification or enhancement. The XPand9011 is a secure 2U rackmount server based on the XAct1012 motherboard. It includes dual 40 Gigabit Ethernet ports and six standard PCI Express Gen3-capable expansion sites that simplify support for a near unlimited number of high-performance and legacy I/O options by utilizing COTS modules. With these features, the XPand9011 provides an unparalleled blend of security, performance, and flexibility for a computing system. The XAct1012 and XCalibur1412 are rugged server-class processing boards that are ready for out-of-the-box installation into a COTS chassis. The XAct1012 is a server motherboard that supports a standard Extended ATX (E-ATX) form factor and includes six standard PCI Express expansion slots. The XAct1012 is suitable for installation within a COTS E-ATX tower or 1U/2U/3U rackmount chassis. The XCalibur1412 is an ATCA blade with two high-speed fabric ports capable of supporting up to 56 Gigabit per second InfiniBand or Ethernet. The X-ES Enterprise Linux (XEL) Board Support Package (BSP) is standard with these products, but other BSPs are available upon request. Please contact the factory for additional OS support options.